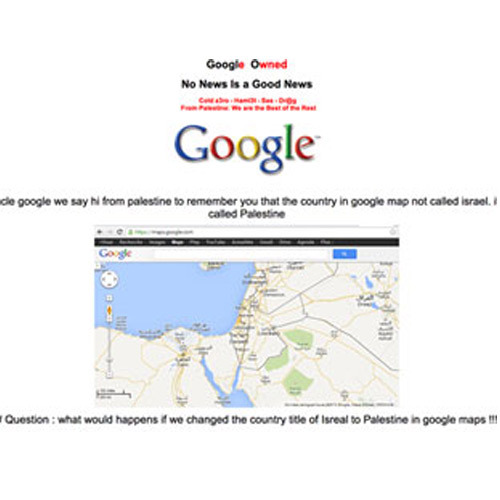 Hackers hijacked and rerouted Google’s Palestine domain to a different server apparently in objection to labelling of Palestinian territories as Israel in Google Maps. The group Hackteach claimed responsibility and left a message on the homepage. Hello there, just became alert to your blog through Google, and found that it’s really informative. I am going to watch out for brussels. I’ll be grateful if you continue this in future. endeavors. Your insightful key points means a whole lot to me and somewhat more to my peers.